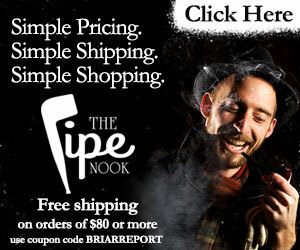 Congratulations to Mr. Eddie Gray on The Pipe Nook‘s 5,000th subscriber milestone. Must be of legal smoking age. Must have your video posted by the end of January, 2019. Must submit a video response (VR) about a funny or interesting story that you may have had in relation to you smoking your pipe. The second thing you can do is tell a ‘first time pipe smoking’ story. A Savinelli 673. Brand new in a slightly dinged box. A Savinelli Venere Rusticated 114 KS (6mm). 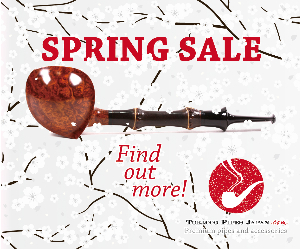 A Savinelli Venere Rusticated 677 KS bent egg. 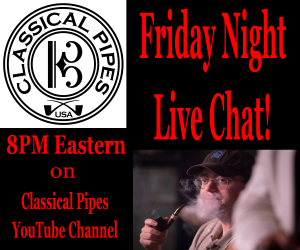 After you make a video, put in the comments section of the video “The Pipe Nook 5K Subs Giveaway” a link to that video and also tell Mr. Gray what your first and second choice of pipes that he is giving away. NOTE FROM EDDIE: Since these are gifts, I’m opening the giveaway to EVERYONE, INCLUDING INTERNATIONAL YTPC MEMBERS! If you have a shipping address, I’ll do my best to get a pipe to you if your name is drawn!